It's a hydrogen vehicle, but with an electric twist. It was back in November 2015 when Mercedes announced plans for a GLC F-Cell before unveiling a prototype of the hydrogen-powered crossover in June 2016. Fast forward to present day, the pre-production model is about to break cover at the Frankfurt Motor Show, but not before one last preview showing the world’s first plug-in hydrogen vehicle - hence the two fuel caps - while undergoing rigorous testing. Since it started working on fuel cell technology with the 1994 Necar 1, Mercedes has abused more than 300 vehicles, which have collectively covered almost 18 million kilometers (11.1M miles) in various climates. In the case of the GLC F-Cell, which has been in the works since 2015, it had to endure temperatures ranging from -40 to 60 degrees Celsius (-40 to 140 degrees Fahrenheit) and hurricanes with wind speeds of up to 265 kph (165 mph) during indoor simulated conditions. 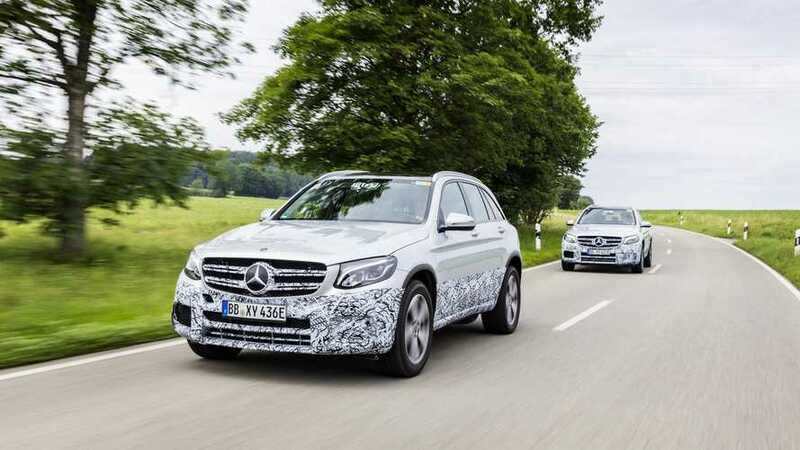 Aside from being put through its paces inside the company’s facility, the GLC convoy headed to Spain, Sweden, and Germany for road evaluation in more than 500 individual tests. Mercedes kept track of the hydrogen used since kicking off the development tests in 2015 and mentions approximately 200 tons were necessary, while 1,800 tons of water vapors were emitted in the process. 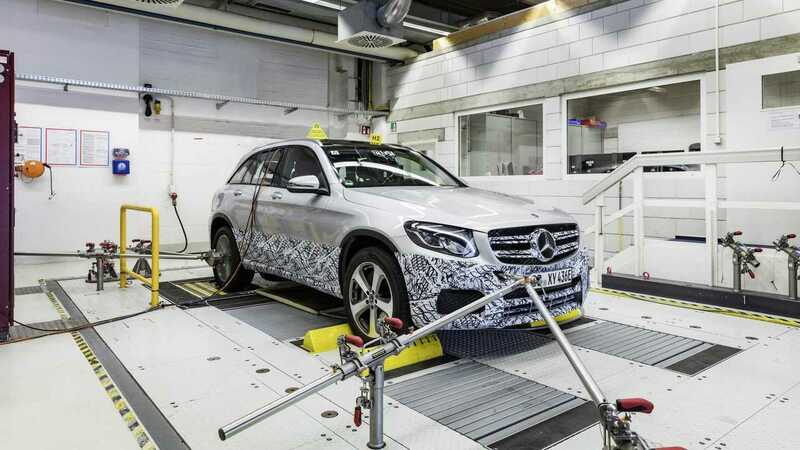 Mercedes-Benz GLC F-CELL: The development and testing of the GLC F-CELL: The road to series production goes by way of intense functional and fatigue tests of individual components and later also of the complete test vehicles. Technical specifications have not been released and we will have to wait until next week to learn about the innards of the alternatively powered GLC. These should remain very close to those of the aforementioned prototype, which had a pair of hydrogen tanks made from carbon fiber, each weighing 4 kilograms (8.8 pounds), and incorporated into the floor. Mercedes estimates a full refill is going to take approximately three minutes, so only a little bit more than filling up a gasoline- or diesel-running car. What truly sets the GLC F-Cell apart from all of the other fuel cell cars is the lithium-ion battery pack mounted at the back of the crossover. It has a capacity of 9 kWh and enables the prototype to run solely on electric power for up to 50 kilometers (31 miles) as per the New European Driving Cycle (think something like 35 km/22 miles of real world/EPA range). With the battery recharged externally (that’s what the second fuel cap is for) and the hydrogen tanks filled up, the eco-friendly CUV can cover somewhere in the region of a NEDC-rated 500 km (311 miles). Full specs and details about availability will be disclosed on September 12 when the production-ready GLC F-Cell will be introduced at the 2017 Frankfurt Motor Show.